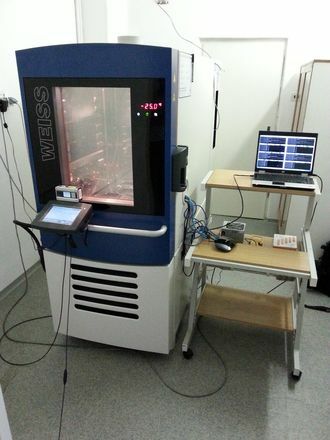 Here you can find all the instructions about how to setup iMX6 Rex for memory stress testing in an environmental chamber. Note: we used an industrial iMX6 Rex heatsink. With a bigger heatsink you can achieve higher temperature. You can find detailed description about how to setup an run the whole test in Appendix : How to prepare the test. It describes all the scripts and explains log files. Here are the results of our testing. 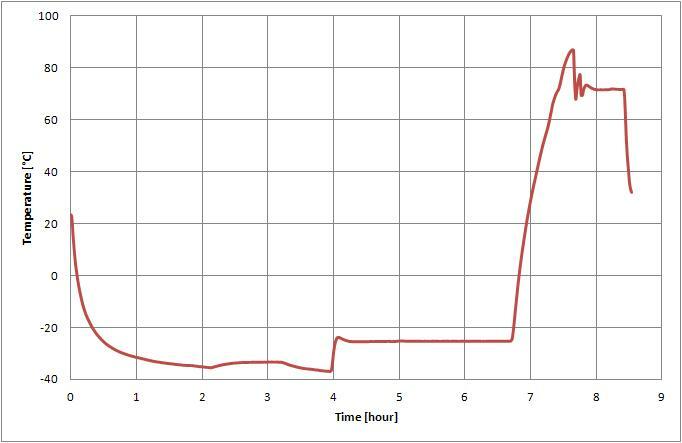 In the picture below you can see the temperature profile which was set during the testing. What we were doing: We switched OFF boards, we left them OFF for 10 minutes and then we switched them ON. We have done these tests several times for temperatures between -30°C to -35°C and for a temperature +70°C. 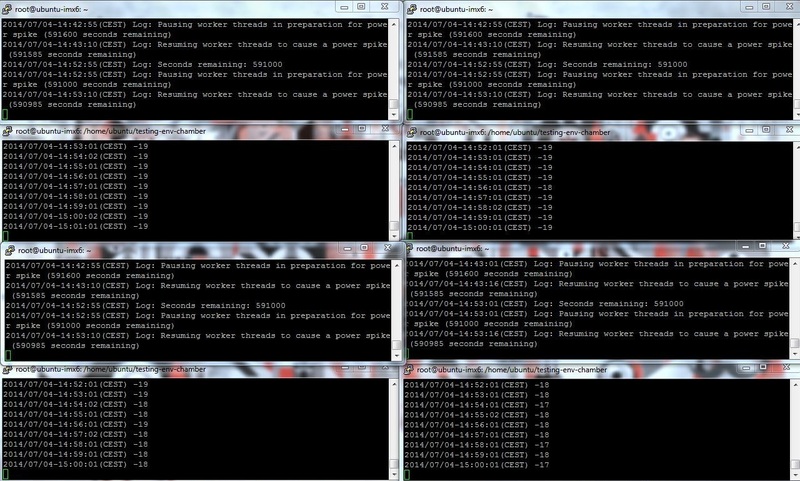 All the boards booted up successfully. 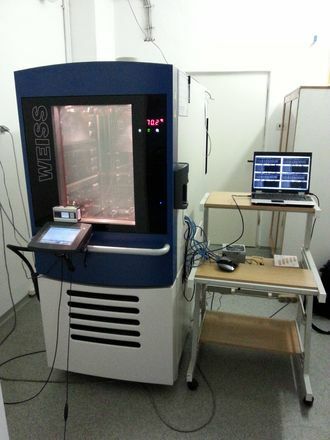 What we were doing: We set ambient temperature to -25°C and we were running the CPU and Memory stress tests. 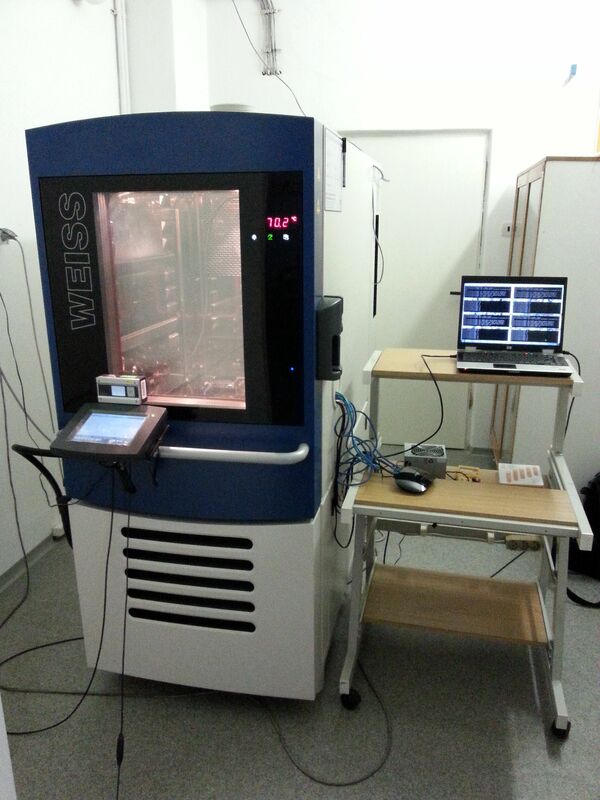 What we were doing: We set ambient temperature to -70°C and we were running the CPU and Memory stress tests. 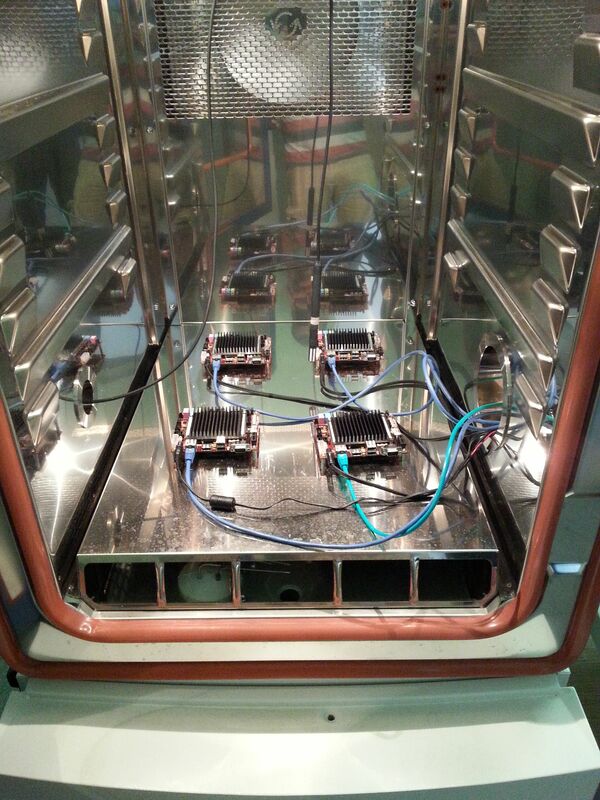 Fast change of the temperature (from -25°C to +70 °C) - PASS What we were doing: We were changing ambient temperature from -25°C to +70 °C and we were running the CPU and Memory stress tests. For this test we used this kernel and xubuntu filesystem. Follow these instruction to create a new SD card. Paste following line to the end of this file. We will use the same time format as stressapptest, we will get the current CPU temperature and save it in the log file. Note: The percent char '%' has a special purpose in the cron file. When using it in the date command you need to use backslash before the percent '\%'. Then we to setup the actual time. Use the sequence of digits in this order: mouth day hour minute year (in the example used 04-July-2014 08:26).